Both yesterday and today, Aurora and the pack were taken care of midday by their friend Tony as I continued to sit in a jury pool at the Hall of Justice from 9 – 4:30. This schedule made for hectic play sessions. Unfortunately, the lack of time also meant that some sub-optimal photographs were still the best ones taken that day. Actually, this one of the evening play session isn’t really out of focus as much as it suffers from motion blur! A cavorting puppy needs a quicker shutter speed! 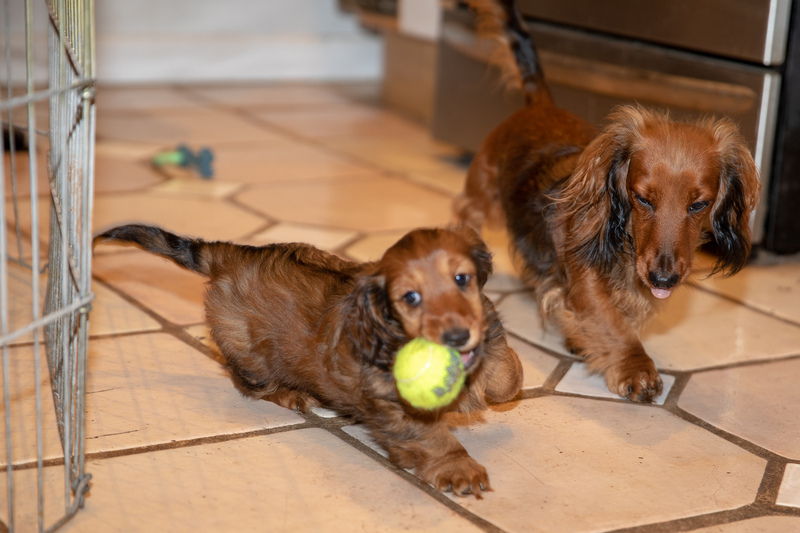 This entry was posted in dachshunds and tagged dachshunds, jury duty, puppies2018, zenith puppies. Bookmark the permalink.